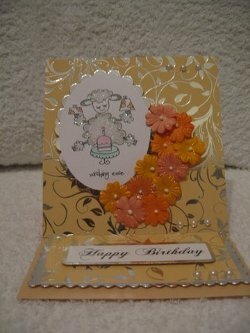 Card-making-magic, Issue #007--Some new projects and gift ideas. Some new projects and gift ideas. 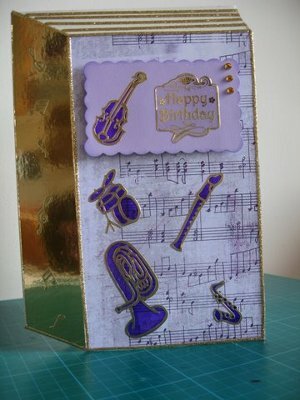 I have been busy getting all my cards ready to send out, and there are some unusual ideas on the Website that you may not have seen yet. They are easy to achieve and yet they look so different form the basic folds. So maybe it's time to be a little more adventurous and give them a try. This lovely gift idea is excellent as a last minute make for someone. And best of all it didn't cost a lot to do. I made one for a friend and offered to refill it for her when she had used up all the pages. Clicking these links will take you to the pages to show you some new ideas. and can all be done with a Christmas theme. Then in the New Year you could make them all again for a different occasion. Your options are endless...just get your imagination working and away you go. I do hope you all have a wonderful time and get everything you want. I bet there are wish lists with lots of crafting goodies on them. I know I have lots on mine! I want to thank everybody for the fabulous emails you send me, and especially the lovely people that send me the photographs of the creations they have made. They are all wonderful. It is lovely to know that you keep visiting the website and that you are enjoying what you see. Next year I hope to add more and more interesting projects for you to try, and don't forget I would love to see the photographs of all your work. 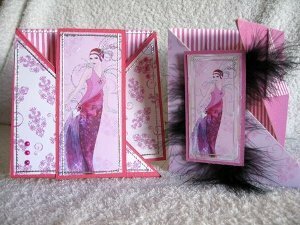 I have added two new pages, one for some Easy Cardmaking Projects and the other one invites you to tell me your Best Cardmaking Story. Merry Christmas everybody....See you in the New Year!